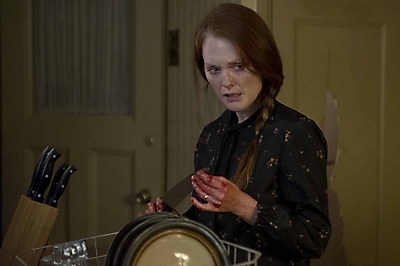 A new clip from Screen Gems and MGM’s Carrie remake has come online and can be watched below. The October 18 release stars Chloë Grace Moretz, Julianne Moore, Judy Greer, Portia Doubleday, Alex Russell, Gabriella Wilde and Ansel Elgort. Directed by Kimberly Peirce (Stop-Loss, Boys Don’t Cry), Carrie is a reimagining of the classic horror tale about a shy girl outcast by her peers and sheltered by her deeply religious mother (Moore), who unleashes telekinetic terror on her small town after being pushed too far at her senior prom.